Just because it's cold outside doesn't mean that your dates have to cool down too! Keep the spark alive over winter with ideas that take advantage of outdoor cold-weather activities. Love knows no season. Warm up to the plummeting temperatures outside and plan some romantic chilly adventures. You'll still be saying, "Baby, it's cold outside," but at least you'll be doing it with a smile. A lot of winter sports, like skiing and boarding, require years and years of practice before they're actually fun. Snowshoeing, on the other hand, can be mastered relatively quickly (and doesn't require a pricey lift ticket!). Slap on some snowshoes (you can rent them) and explore your favorite hiking spot from a snowy vantage point. Few activities are quintessentially winter like ice skating... preferably on a lake in a little mountain town surrounded by snow-capped peaks and rosy hot chocolate vendors. Even if you don't have access to the mountains — or the lake — ice skating (and hot chocolate!) are probably within reach. A little wobbly on your blades? No worries. Team work makes this winter adventure even more enjoyable. If you'd like a less predictable plan, try your hand at curling! Winter weather can be romantic, especially when you're on the warm side of a window. As you thaw from the chilly temps, grab some paint, brushes and a canvas or two and let the creative juices flow. Try painting landscapes, abstracts or work on one masterpiece together. You'll create memories and cherish the final product. 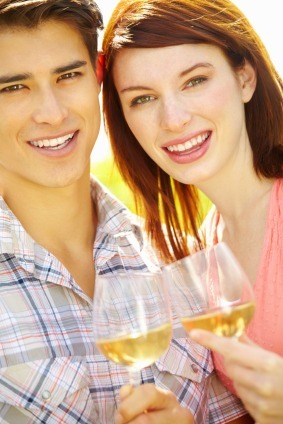 When the weather is mild, a vineyard tour is probably one of the best dates you can plan. But when the weather turns cold, a beer tour can be a great alternative, especially if you live in an area with a plethora of breweries. Bourbon tours are another good option. Just take advantage of whatever your area has to offer. For those who love the great outdoors, camping can be the ultimate romantic adventure. Just because it's cold outside doesn't mean you have to give up camping, but you may want to ditch the tent. Instead, grab your honey and head for a yurt, a round canvas-covered structure that offers more room and comfort than a tent. 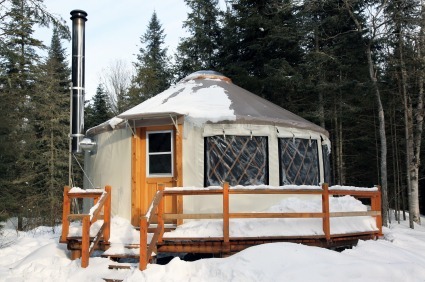 Plenty of state parks, recreation areas and businesses have yurts available to rent. Can your marriage make it for 26 years?